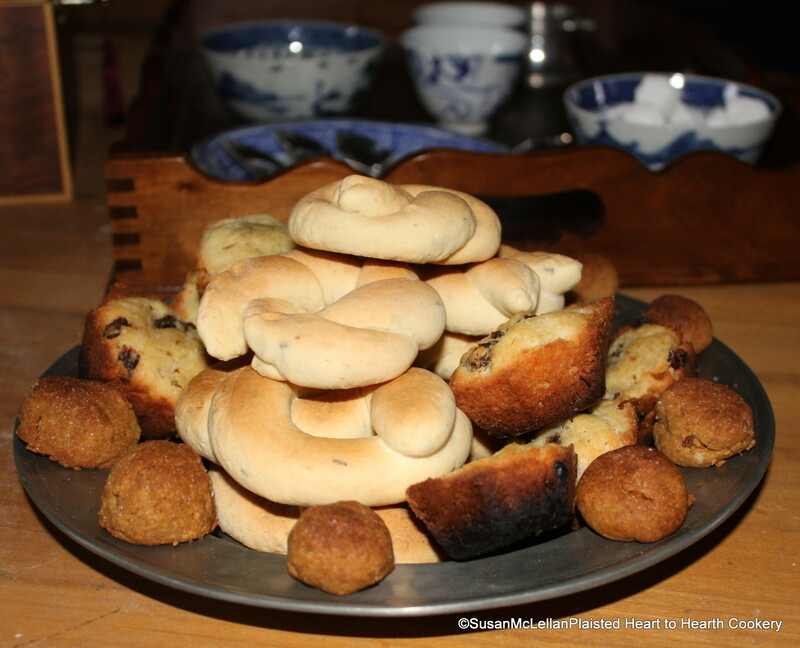 The cakes for the tea were arranged on a pewter plate for service. In the center, To make Knots or Gumballs with Too make Portingall Cakes next. On the rim of the plate is the receipt (recipe) To make Ginger-Bread Cake not cut out with a Tea-Cup but rolled round like nuts. (See 2/22/2013 post To make Ginger-Bread Cakes.